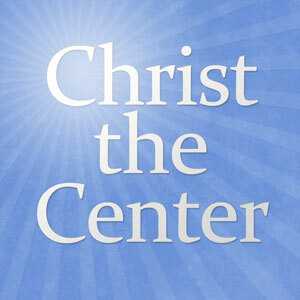 The Christ the Center panel had a fascinating conversation with Rev. Danny Olinger, general secretary for the Committee on Christian Education for the Orthodox Presbyterian Church and editor of The Geerhardus Vos Anthology, about all things Vos. Rev. Olinger gives the listener a brief biographical sketch of the life and ministry of Vos and gets to the heart of Vos’ contribution to Reformed theology: Biblical theology of a Reformed and orthodox variety. Several key aspects of Vos’ work are explained, including the expression “eschatology precedes soteriology.” By the end of the discussion, listeners will understand the importance of Vos for a proper grasp of Reformed theology in general. Please contribute to the wiki entry for this episode. Bond, Douglas. The Betrayal: A Novel on John Calvin. Presbyterian & Reformed Pub Co.
Clowney, Edmund P., and Dennis E. Johnson. Heralds of the king : Christ-centered sermons in the tradition of Edmund P. Clowney. Wheaton, Ill.: Crossway Books, 2009. Duncan, J. Ligon. Does Grace Grow Best in Winter? Presbyterian & Reformed Pub Co.
Fitzpatrick, Elyse, and Dennis E. Johnson. Counsel from the Cross : connecting broken people to the love of Christ. Wheaton, Ill.: Crossway Books, 2009. McCartney, Dan G. James. Baker Academic, 2009. Vos, Geerhardus. Biblical Theology. New Ed. Banner of Truth, 1975. —. Grace and glory : sermons preached in the chapel of Princeton Theological Seminary. Grand Rapids Mich.: The Reformed Press, 1922. —. Pauline Eschatology. P & R Publishing, 1979. —. The Eschatology of the Old Testament. P & R Publishing, 2001. Vos, Geerhardus, and Richard B., Jr. Gaffin. Redemptive History and Biblical Interpretation: The Shorter Writings of Geerhardus Vos. P & R Publishing, 2001. Vos, Geerhardus, and Danny E. Olinger. A Geerhardus Vos anthology : biblical and theological insights alphabetically arranged. Phillipsburg, N.J.: P & R Pub., 2005. Concerning the ETS meeting to which you refer (where we met)… as both a Kuyperian and a Vosian, I have my own criticisms of James Skillen’s view of social justice. But my criticisms are not that his views somehow conflict with a Vosian understanding of the ministry of the church or “what Christianity is about”. (My criticisms are that some of his views conflict with a genuine Dooyeweerdian understanding of the political sphere). Our comments about the recent ETS meeting reflect our thinking about the current focus on cultural transformation. Jim Cassidy and I do not believe it is healthy. While I appreciate Kuyper, I have little to no use for Dooyeweerd. He is usually incomprehensible (as are his disciples) and his doctrine of Scripture and how it relates to other learned disciplines is for the birds and verges on Neo-Orthodoxy. If you listen to the interview with Danny Olinger you will hear him note that transformation is at best a side effect of an individual’s union with Christ. I believe Christians should live like salt and light in the world, but I am not convinced that the church as an organization ought to be about the business of cultural transformation. That is why I evaluate the recent ETS regional meeting as I do. I do not dismiss Skillen with a wave of the hand. Some of his comments were interesting. Many of them I disagree with because of my own political and theological views. It is not a matter of not being familiar with the issues. It is a matter of being in disagreement with the growing trend that I see as a recapitulation of classical Liberalism within the broader Evangelical movement. You do not have to agree with me. But that is where I am. Also, to follow up the last post, I do not believe it is the responsibility of the minister to pontificate about political philosophy or policy matters from the pulpit or even in the Sunday School class, except where it impinges upon moral matters clearly addressed in Scripture and even then we will have to note whether the Scriptural injunctions are aimed generally at the world or at the church. As I have noted many times at CTC, the church is to be about the ministry of Word and sacrament-to be an ordinary means of grace institution. If that view puts me on the outs with the prevalent view of Evangelicals, so be it. We are definitely on the same page… and Skillen and Dooyeweerd are right there with you! You might enjoy finding out just how comprehensible sphere sovereignty is, since it fundamentally supports the distinct spiritual mission of the church. This is the presentation I gave at PTS last year. From our view there’s no question of the church as an institution involved in matters of culture or public justice, rather we are discussing the duty of Christians (and non-Christians) in various non-church societal communities, such as citizenship in a body politic. [ But you already knew that 😉 ]. Great interview guys. For those who don’t know much about Vos or haven’t read him, this is a great entry point. Well done. Btw, Danny mentioned that Charlie Dennison’s sermons may be available at Grace OPC’s website. They are not, however, upon request, we can send out a disc with the complete audio library of Charlie’s recorded sermons and lectures from 1975-1999 in real player or mp3 format. Those interested can email the church for details: graceopc@email.com. I was wondering if there is a connection with Vos’ teaching in Biblical Theology (roughly pgs. 302 to 304) that the work of Christ’s life, death and resurrection is especially interpreted by the following New Testament revelation (although it was taught in the Old) given to the apostles by the Spirit and Van Til’s teaching that the “fact of the resurrection cannot be separated from the meaning of the resurrection”? Forgive the run on sentence. Danny Olinger’s connection between the two age construct and the absolute ethical antithesis made me wonder. I noticed in my readings of Vos that he doesn’t emphasize the centrality of Luke 24 like I got during my WTS MDiv. In fact, I can’t remember him mentioning Luke 24 barely if at all in both Biblical Theology and the Shorter Writings–most notably it is absent in his inaugural address. Anyone know who impacted WTS professors to concentrate so much on Luke 24? Great interview! It is always a pleasure to pick the brains of guys like Danny. When I attended Ohio State in the 90’s, my rock band took great delight in defacing William Oxley’s statue with our stickers, one of which stayed on it for years. Little did I know Oxley was an ardent opponent of Machen and Vos. Another excellent interview! Thanks brothers! Vos is Boss.